Established luxurious family home with sun lounge. Beside Tramore racecourse. Only 10 minutes drive from Waterford Crystal and Waterford Airport. Magnificent pastoral views, in a tranquil setting. Ideal for touring the South East. 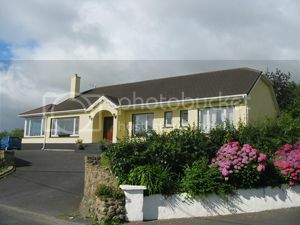 Minutes from Tramore’s famous sandy beach and Comeragh mountains. Double , triple and family rooms to cater for all family sizes. Children welcome. Free Wireless broadband available. All rooms are en-suite with TV, tea & coffee facilities. Open all year round. Easily accessible from the N25 on the R682/5. Price: Prices from €30.00 per person sharing per night. 33.3% reduction for children under 12.